Most houses have their own basements which known as underground areas. Basement also seems to be neglected or overlooked area in your house. But, you can transform your ordinary tiny basement into a useful area with these small basement ideas. Basement definitely can be turned into many excellent spaces such as play room, man cave, office, personal sanctuary, family room, boutique, guest room, and much more. Here are 15 super creative ideas for you. You are able to add extravagant touches to your basement. The bricks-made wall is one of the vital elements in this idea. You can opt for white-painted basement ceiling. Some downlights and cylinder ceiling light must be installed on the basement ceiling. To bring the luxurious look, you need to have some rectangular-shaped built-ins. The built-ins can be used to put your television. The basement will be more extravagant with the presence of leather armchairs in front of brick wall. Put artificial plant beside your armchair. Then, a leather table will match perfectly with the nuance of your basement. Basement can provide you a space for watching your favorite football team. Make sure you have a white basement ceiling and install downlights to brighten up the room. A pretty large built-in is inevitably needed in your basement. Don’t forget to put a cabinet under the television. You may also want to buy a bar table, some armchairs, and a bar stools. A wool-rug must not be forgotten on your shopping lists. For basement flooring, you can choose wooden floor tiles. Do you wanna get all rooms in your basement? You can make it happen. First, you must create media room. Put home theater device on the corner of your basement room. Then put a sofa in front of it. The next step is put armless chair and cocktail table beside media room. You have to hang kitchen cabinet on the wall near your media room. Install long pendant lights above the kitchen island. Some downlights will be helpful too. You also must install a kitchen pedestal sink under kitchen cabinet. Finally, you will have 3 functional rooms in your basement. This idea obviously will work for modern houses. Since your house was built modernly, your basement might be the same. The first thing you must do is put stair rug on your basement stairs. You must install pendant lights above your wooden bar island. To accentuate modern vibes in your basement, you are highly suggested to put floor cabinet near bar island and wooden bar stools in front of bar island. Whenever you want to bring modern nuances, you shall not forget some wooden furniture. Is there any cellar in your house? You could remodel it into an overland basement. To decorate your basement, you need to hang guitars and paintings on the wall. Put the billiard table near your hanging guitars. Install exposed wire lights exactly over your billiard table. If you want to have a brighter basement, install downlights on your basement ceiling. After playing badminton you may get tired, you have relaxation area in the basement. Put sofas not far from the billiard table. It is recommended to put a cocktail table in the middle of sofas. Family chit chat may be the most exciting activity in the night. After working and studying, it is the right time to gather all family members in one room. Fortunately, to get an intense family room, the small-sized basement is more than enough. Hang colorful cabinet on the wall to add cheerful vibes in your basement. Put bar island near the corner of the room. Buy some bar chairs as many as persons in your family. Yellow short pendant lights successfully will bring warm vibes for every people. It is indeed a brilliant idea. If you want to have extra space for cooking and baking in your house, renovate your basement. Choose white kitchen fixtures are such great choice. Put a refrigerator on the corner of your basement. Then put kitchen pedestal sink next to the refrigerator. Place the kitchen cabinet under the pedestal sink. Do not forget to make a glass window in front of pedestal sink. This will give you a good amount of brights when you do dishwashing. You are also urged to install a pendant light. Put gas stoves besides of your kitchen pedestal sink too. Basement seriously can be the most comfortable room in your house. This idea will work for any contemporary houses. First, you have to build a bricks-made wall on the one side. Then, put your spring bed near your bricks wall. Do not forget to complete it with blankets and pillows. For the staircase, you shall choose floating staircases. 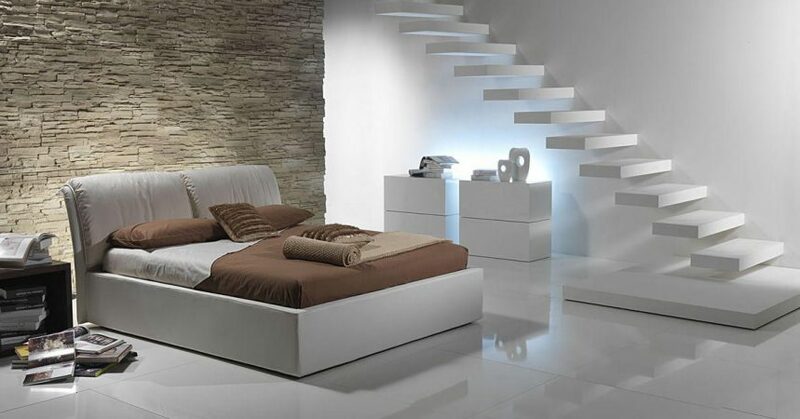 Build the floating stairs beside of your spring bed. If you love reading books or newspapers, put a one-tier shelf near your spring bed. To brighten up your room, you are urged to install one bulkhead light on the ceiling. This idea must be loved by many traditional-styled house owners. Put an artificial plant on the corner of your room. After that, you shall put bookcases next to your fireplace. Holland Ave basement is characterized with its glass doors. The next step you have to do is put television over the built-in fireplace. If there are cabinets, that cabinet shall be put near fireplace too. You must buy some armchairs and a cocktail table beside the cabinets. Put retro floor lamp near your armchairs and rug under the cocktail table. Probably, you want to have quiet space in your house. This idea really suits you. Put a rug on the floor and billiard table in the middle of the room. Then, arrange some bar chairs beside of billiard table. Put bar island in front of bar chairs. Do not forget to install downlight to give your quiet room enough brightness. You also need to install triennale pendant lights over billiard table and bar island. Build fireplace inside the wall beside of your billiard table. Sometimes, you may imagine owning a personal boutique. Your imagination can be achieved for sure. Put clothing racks on the corners of your boutique room. Use some curtains to cover up your changing rooms. Hang one mirror on the wall in a changing room too. Put a sofa in front of your clothing racks and changing rooms. Do not forget to complete your sofa with pillows. Put square-shaped table between sofa and armchairs. You also have to put a customized rug under the table. There is actually pretty large space under basement stairs. You are wise and smart if you use this area. Put triangle-shaped wine rack under the lowest stairs. After that, you shall put kitchen cabinet next to your wine rack. You need to put small kitchen pedestal sink in your kitchen cabinet. The important thing to do is install downlight over pedestal sink. If you still face brightness issue, install some downlights over your basement stairs. If you have a tiny basement in your house, you are strongly suggested to use it as a family room. Put a book shelf beside of your basement stairs. Then, put some tables and baskets in front of your book shelf. Those baskets are so multi-functionals. The next steps are put your long sofa near your book shelf and cocktail table in front of your sofa. You also shall put a rug on the basement floors. Please, do not forget to install some downlights on your basement ceiling. Weather in the winter is quite cold. A fireplace in your basement will be a help. First, you must install glass bottle wall lights on your basement walls. Build a fireplace in the middle of the wall. Put some racks next to your fireplace. To give warm vibes in your basement, it is better to opt for wooden panel wall. Put an artificial plant on the table and armless sofa near your fireplace. A mini colorful pillow will beautify your guest collection fireplace. There is no rug in this idea. This is one of the chicest small basement ideas for you. Put cabinet on the corner of the room. Then, you should put a television in the cabinet. You are recommended to put a rug on the floor too and table on the rug. Arrange sofa and armchair in front of your cabinet. You also have to put side tables next to sofa and armchair. 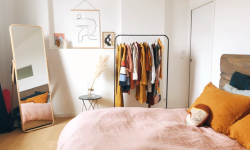 The next step for you is to put some racks on the other corner of your room. To add a chic nuances, hang many paintings or photographs on the wall. Some downlights will give your chic cellar a lot of lights. Therefore, having a tiny basement is not a big constraint anymore. You can implement those small basement ideas to get your desired basement look. You also have to choose the idea which really fit your budget and need. Hopefully, this article may give you an awesome inspirations.